The Journal of Thermal Spray Technology recently published an application paper on Essential Factors Influencing the Bonding Strength of Cold-Sprayed Aluminum Coatings on Ceramic Substrates. The paper highlights an interesting application of thermal effusivity its influence on tensile bond strength of cold-sprayed Aluminum coatings. This study summarizes the most important results of a research project dealing with the comprehensive investigation of the bonding mechanisms between cold-sprayed Al coatings and various poly and monocrystalline ceramic substrates. Due to their exceptional combination of properties, metallized ceramics are gaining more importance for a wide variety of applications, especially in electronic engineering. Cold spray provides a quick, flexible, and cost-effective one-step process to apply metallic coatings on ceramic surfaces. However, since most of the existing cold-spray-related publications focus on metallic substrates, only very little is known about the bonding mechanisms acting between cold-sprayed metals and ceramic substrates. In this paper, the essential factors influencing the bonding strength in such composites are identified. The influence of substrate material, substrate temperature, and particle size is evaluated. The results suggest that, apart from mechanical interlocking, the adhesion of cold-sprayed metallic coatings on ceramics is based on a complex interplay of different mechanisms such as quasiadiabatic shearing, static recrystallization, and heteroepitaxial growth. This research shows that the high thermal conductivity and thermal effusivity of AlN result in a low contact temperature, Fig. 5(b). The lower the contact temperature, the smaller the temperature window which has to be passed by the interface-near coating material until it has cooled down to RT. Moderate compressive stresses are known to improve the bonding between substrate and coating, since they close existing interfacial cracks thereby avoiding crack growth under mechanical load. This correlates very well with the tensile bond strength values of the coatings, which are shown on the right side of Fig. 6, and with the presented theoretical considerations as regards the substrates’ thermal effusivity and the resulting contact temperatures (Fig. 5). 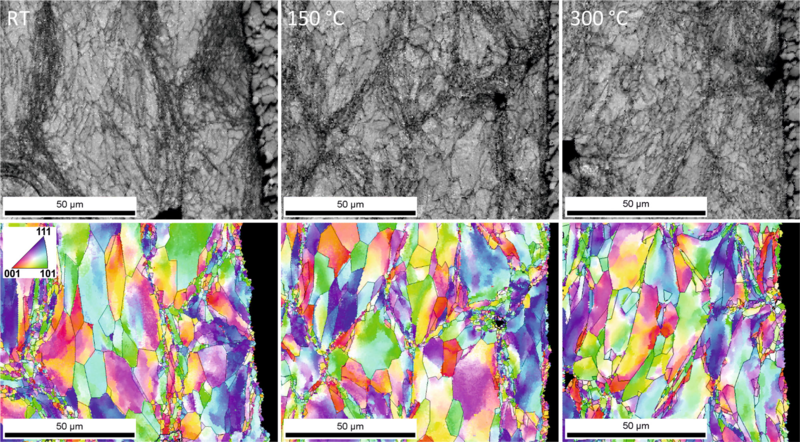 Therefore, it was concluded that the use of a substrate material with a high thermal effusivity has a positive influence on the tensile bond strength of cold-sprayed Al coatings. In addition, it was observed that the tensile bond strength increases with the heat conductivity and thermal effusivity of the substrate material. This can be explained by the low coating/substrate contact temperature of good heat conductors such as AlN, leading to a lower tensile residual stress in the coating material near the interface. Comment on "Factors Influencing the Bonding Strength of Cold-Sprayed Aluminum Coatings on Ceramic Substrates"